The L’oreal Infallible 24H Foundation has been my favourite for ages now and it has been difficult to find one to replace it. 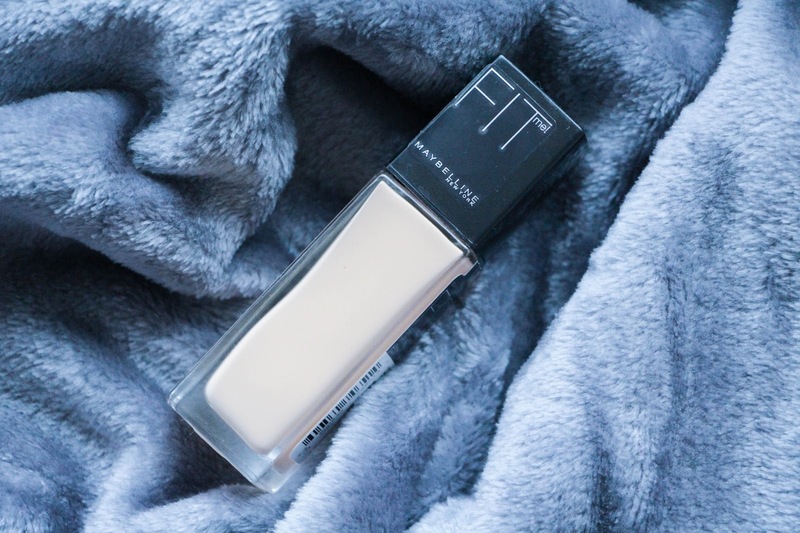 Then a lot of people, including Desi Perkins – my favourite YouTuber at the moment – has been raving about the new Maybelline Fit Me foundation and so I decided to give it ago after trying out the concealer from the same range and loving it! Here are my thoughts about it. I bought the Maybelline Fit Me foundation in the shade 115 and it suits my skin tone perfectly. I have an olive tone to my skin and I feel like I struggle to find foundations that don’t have a pink undertone. This one suits quite great on my skin. The packaging is simple but sleek. It comes with a pump and that is definitely a plus. The finish of this foundation is quite dewy, something I really like because I have quite dry skin and this foundation cancels all the dryness or dehydration of my skin. The coverage is great! Medium if applied with a brush or full when applied with a beauty blender. It is quite buildable so you can get the coverage you wish. It sets quite good on your skin although your fine lines can get quite noticeable so I tend not to apply to much around my mouth or under eye area to prevent it from creasing in those areas. Apart from that, it looks flawless! The application is easy and smooth. With a brush or a beauty blender the foundation blends quite effortlessly and I love that. Nothing better than an easy application. When it comes to durability, it is long lasting but I have to say that it is not as good in that aspect as the Infallible 24H by L’oreal. It fades around my chin but that is also my fault because that is an area that I am touching all the time while at work – I do like to rest my head on my hand when doing my notes at the hospital haha. Also even though my skin type is dry, my chin, around my nose and forehead can get quite oily throughout the day and that makes the foundation fade in those areas too. But with a good primer I can get away with it. So concluding with this review, I love this foundation, the finish, application and coverage are amazing and the one thing that I like the less is only the durability but, as I said, it can easily be solved with a good primer. Saying this I have remembered that I need to buy the Nivea After Shave Balm that NikkieTutorials always recommends! I will tell you how it goes with that.